What’s there to do in Columbia, SC? Have you ever considered taking a drive to Columbia? From Nashville, TN, it’s 6.5 hours. From Atlanta, GA, it’s 3 hours. From Asheville, NC, it’s 2.5 hours. From Huntsville, AL, it’s 7 hours. And are the points of interest worth the drive? We’re about to fill you in all the details. In our last article, we highlighted the kinds of travelers that we think would be a good fit for Columbia. If you fit one of those categories, we recommend getting this city on your travel calendar this fall! We just returned from our trip out there. PROS: EdVenture Children’s Museum is a great experience for kids 12 and under. With a variety of spaces dedicated to hands-on learning, it a delightful, kid-friendly adventure. Eddie, the giant boy in the center of the museum was a highlight. CONS: Some exhibits in the museum felt a little old or run-down. Some buttons on exhibits were not working, but my kids didn’t notice those small details. Overall, my children loved running wild in the variety of nooks. HELPFUL TIPS: There is putt-putt golf course inside the museum for an additional $4, which may be good for older kids. But if you’ve got younger children, save your money! There is enough there to keep them busy for 2+ hours. CONS: My kids are still at the age where hands-on is better than just reading, so the exhibits did not hold their attention for long. HELPFUL TIPS: I’m cautious about recommending this as a must-see for all ages. Definitely take a look at the museum’s website to gauge if your family will appreciate what it has to offer. If you are a homeschooling family, be sure to bring your school ID. The museum offers great discounts! PROS: This year, we’re studying the states and capitals. So, this trip was a handy first-time exposure to capitol buildings, senators, and house representatives and what all those things mean. During our trip, I wrote about our capital visit on Instagram. Tours are complimentary and frequent, every hour on the half hour beginning at 9:30 am. There is an African American Monument, the first one ever to be present on a state's grounds. Established in 2001 and recounting over 300 years of history in 12 powerful, bronze panels, this monument was a compromise commissioned by the state during the removal of the Confederate flag from the capitol building. CONS: We left the guided tour early, as it was a little long and dry for my 7 and 8 year old. You can opt for a self-guided tour, if you have younger kids. This way, you can tour the capital at your own pace. HELPFUL TIPS: We parked in a paid lot on Pendleton St. There are a variety of streets close-by with metered parking, as well. There is little to no free parking. The guided tour starts with a 10 minute overview video. Even if you opt for a self-guided tour, you should still try to catch that video, as it provides good background info about the capital and its history. PROS: This was our favorite thing about Columbia, SC. Maybe it’s because it blew away our hometown’s zoo? Maybe it was the way they creatively linked the botanical gardens with the zoo by a bridge over the river? Maybe it’s because the botanical garden had a killer waterplay area for kids? I’m not sure I can nail down one reason we loved this experience so much. But for us, it made the trip worthwhile. CONS: It closes at 5 pm on weekdays and 6 pm on weekends, which feels really early, especially during the long daylight hours of summer. We wish they stayed open longer! HELPFUL TIPS: Bring towels, sunscreen, and water with you! You could stay the entire day with the right weather and the right supplies! First time going to Columbia? 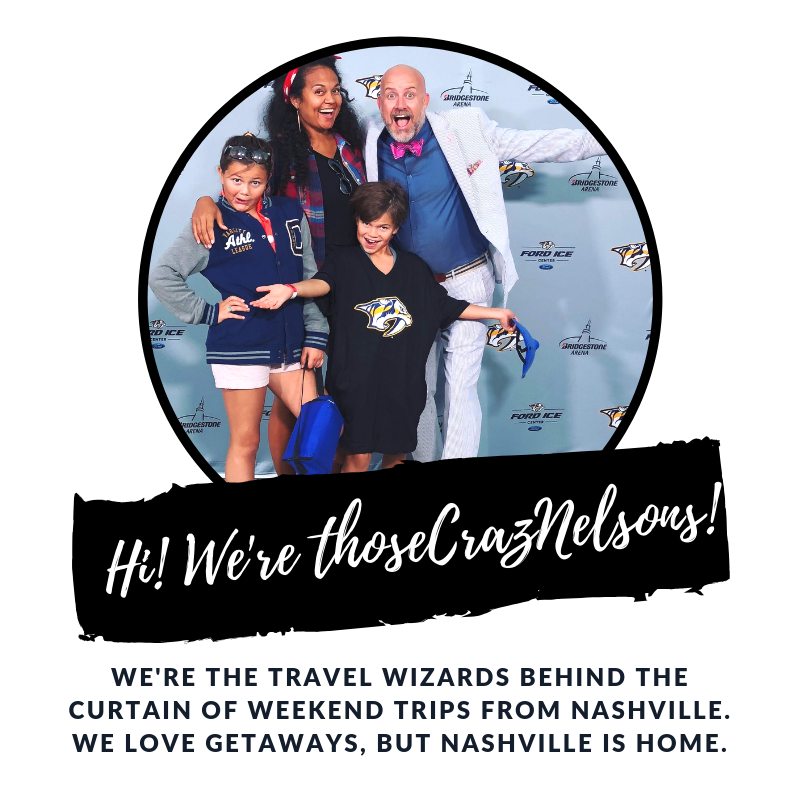 I've got a great family trip all planned out for you, including where to stay, eat, and play. A bonus tip for adventurous families! The Purple Martin Phenomenon is a unique and rare experience for outdoor-lovers who like off-the-beaten-path experiences. From July through late August, there is an island called Doolittle Island (also known as Bomb or Lunch Island) where over a million purple martin birds roost. Every morning and evening, you can watch hundreds of thousands of birds take flight, darkening the sky with purple. This viewing must be done by boat on Lake Murray. There are a multitude of boat rentals from which to choose; some even offer a captain to drive the boat for you. When we researched boat rentals, we found one that offered a 20’ pontoon boat for $69/hr. This option is a great experience for outdoor enthusiasts! Here’s what we missed, but would try next time: tubing. Due to the recent rain at the time of my visit, the rivers were too high for tubing. There are many options in town for soaking up sun and floating down the river. If you are an adventurer and you LOVE caves, you may enjoy this cool spot in a completely different state!